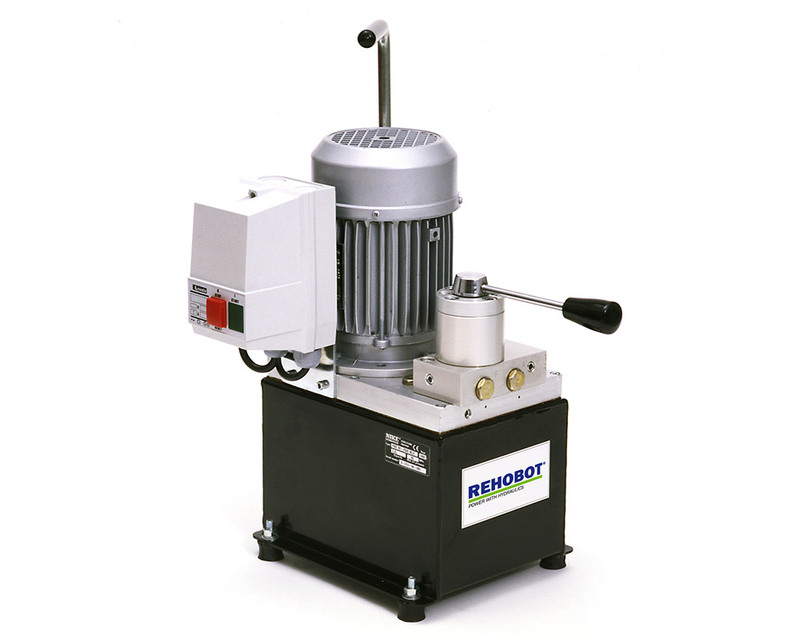 REHOBOT pumps are designed and manufactured to withstand handling in the toughest environments. They may be used in many different applications and industries. 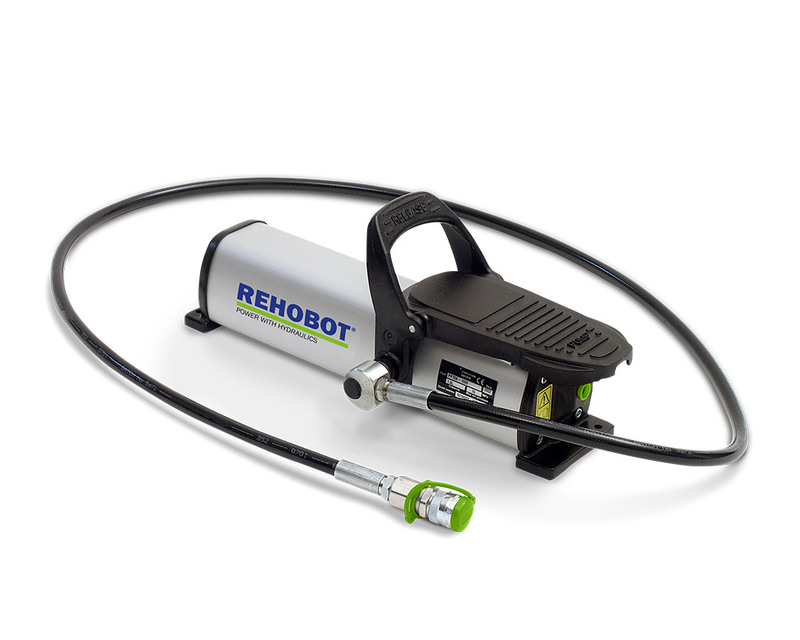 Pumps can be used alongside all hydraulic tools and cylinders featured within the REHOBOT product range. 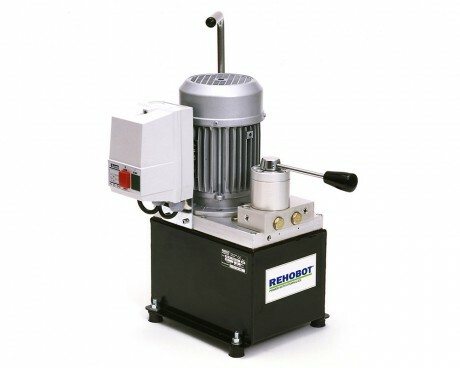 REHOBOT pumps are used across a variety of applications and industrial environments worldwide; Engineering, Automotive, Mining and Petrochemical industries. The range of pumps include: hand powered, air powered, electrically powered and petrol powered. Our pumps are easy to operate, repair and service – saving time and money for our customers. What kinds of pumps do you offer? 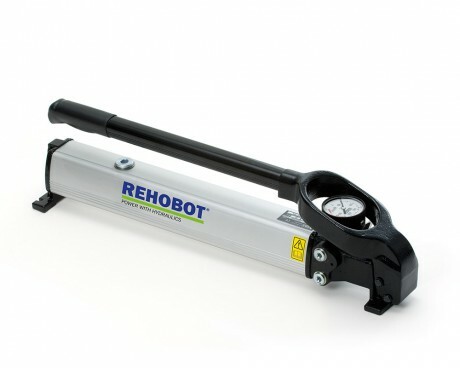 Hand powered pumps – Are lightweight, portable and do not require external power source. These pumps are cost-effective, easy to use, and are ideal for workshop and/or field use applications. Air powered pumps – A cost-effective option for faster and more efficient operations. No manual effort required by the operator. Portable and ideal for workshop use, only standard air-line supply required. Field use is feasible, via compressor where available. Electrically powered pumps – The best option where large capacities of oil is required: e.g. multiple cylinder operations. By selecting additional valve types, these pumps can easily operate multiple tools. The electric pumps are suitable in stationery installations. 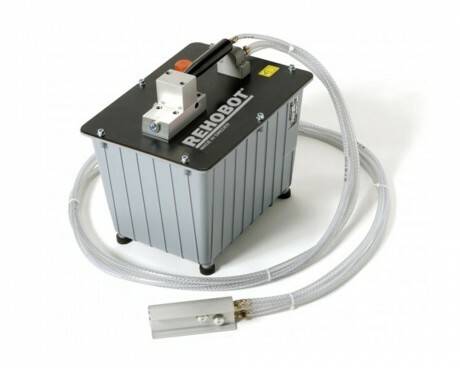 Petrol powered pumps – An excellent alternative where, field operations are required: e.g. construction sites and shipyards. No external power source is required. What are your different pump series and their working pressures? REHOBOT Hydraulics produce high pressure hydraulic equipment. We ordinarily manufacture our products to operate at 700 bar and above. Please note that 10 bar = 1 MPa, therefore 700 bar = 70 MPa. PH-series – Single stage hand pumps. 700-800 bar. PHS-series – Two stage hand pumps. 700-2400 bar. PME-series – Electrically powered pumps. 700 bar. PMP-series – Petrol powered pumps. 700 bar. PP-series – Air powered pumps. 700-1500 bar. Who can I contact for more information on these products? If you have any questions or would like a quotation – please do not hesitate to contact us. You can either e-mail us at info@rehobot.se or call us at +46 (0)16 – 16 82 00. We speak English, Swedish and Russian.